MORGANA GAZEL has gone down several paths until she found the activity that, in her own words, gives meaning to her life: Writing fiction novels. She majored in Mathematics, then worked as a Systems Analyst, and later became a Psychologist―a career she pursues to this day. As a novelist, her intention is that her stories contribute to the acquisition of feelings and values that are favorable to life and morals, in addition to raising awareness of our rights and duties. Morgana has published two novels: Enseada do segredo [Embayment of Secret] and Liberdade negada [Denied Freedom]. She's currently writing her third book, entitled A carta da mãe [Mother's Letter]. So far, she has contributed to 25 poem and short story collections. She received the 2012 Literarte Literary Award for her poem Mundo [World] and earned an honorable mention with Aletologia [Alethiology] during the CEPA-62 ANOS competition. 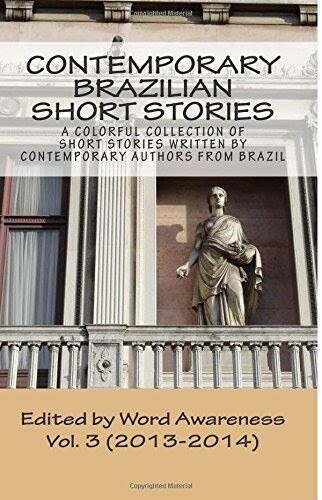 She is a member of the Brazilian Female Authors Network (REBRA), the Bahia Culture Academy (ACB), the Brazilian Authors Union (UBE) and the International Writers and Artists Association.